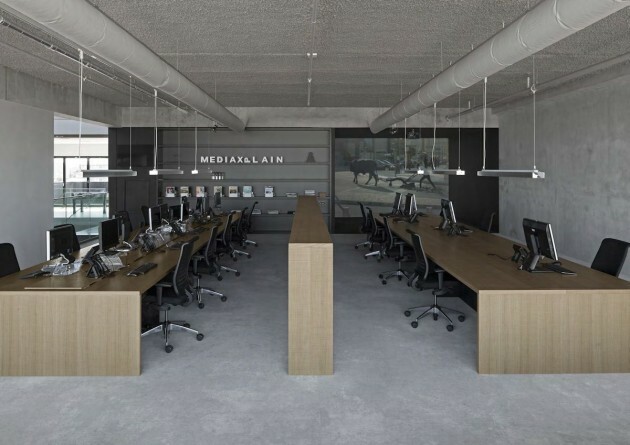 i29 Interior Architects have collaborated with VMX Architects to create the office for MediaXplain, a media agency in Amsterdam, The Netherlands. 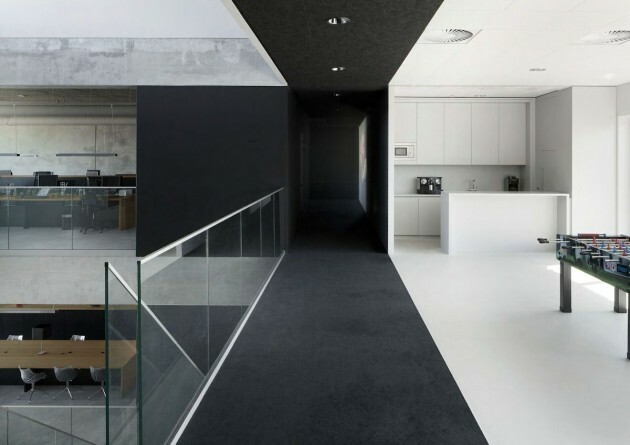 After the succesfull collaboration between i29 interior architects and VMX Architects for a social workplace, this is another project where both offices joined forces. 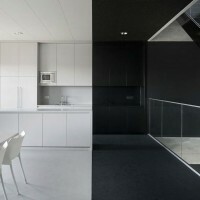 For media agency MediaXplain an industrial building with a compliant bold interior is realised in de Houthavens, at the old Port of Amsterdam. 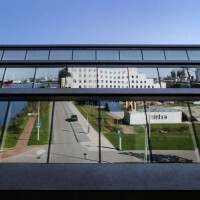 VMX took full advantage of this location’s strong point – the view of the water and docks – and realised a completely open facade with glass panels at an angle. 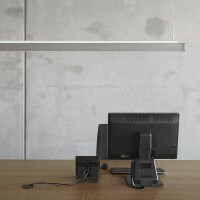 The interior refers to the industrial origin of this area. 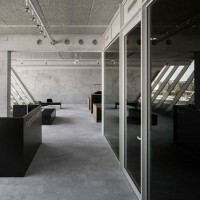 Following the building’s skeleton with it’s raw concrete walls and open layout, i29 proposed an interior with matching materials such as rough oak wood, black surface walls and furniture, custom designed concrete carpets, gray acoustic ceilings and a large industrial staircase to connect both office floors. 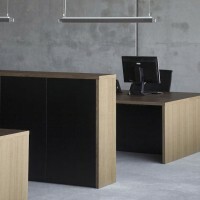 Large desks made of rough oak wood accommodate the employees overlooking the port at the front. 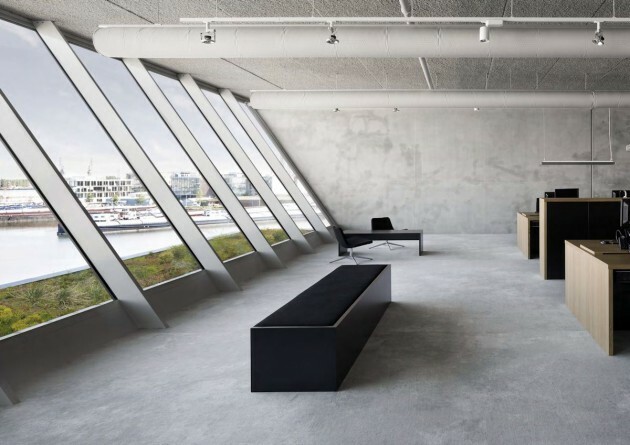 A strip of private offices, meeting rooms, print area and pantry is placed at the back. 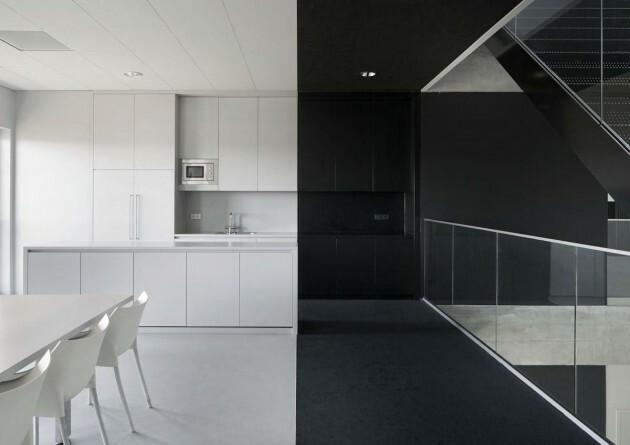 Along the full width of the building a corridor finished in black walls, ceiling and floor connects the different areas. 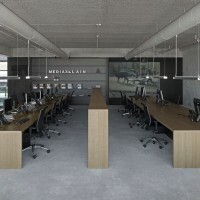 Seen from the main office area, this corridor operates as a cinema with large projection walls for the display of digital work, referring to the clients activities as a media agency.